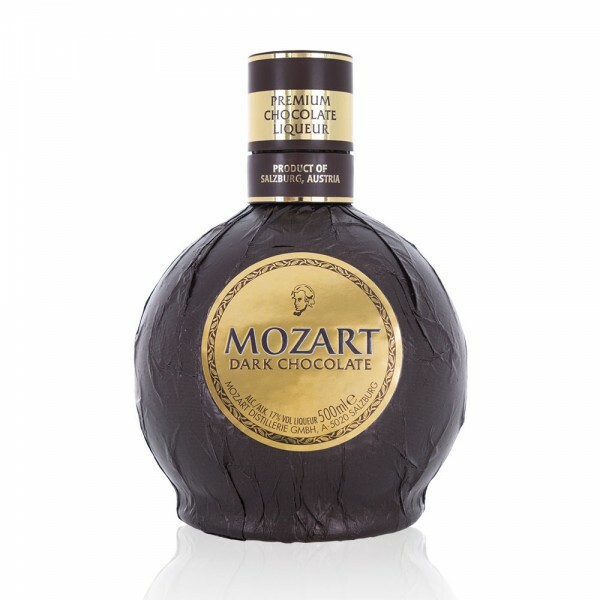 Mozart Dark Chocolate Liqueur is a smooth, sippable digestif made with vanilla and caramel combined with the smoky, bitter notes of the finest cocoa beans. A bittersweet, sophisticated drink with a lingering finish, the intensive flavour of this genuine Salzburg speciality makes why Mozart Dark Chocolate liqueur a delight for all occasions. Delicately bitter dark chocolate and 87 cocoa pure cocoa are blended to create a unique drink that is a must-have ingredient for creative cocktail-making, as well as a sophisticated addition to certain desserts. Try it in a dark chocolate martini combined with silver tequila, triple sec and fresh lime juice.